We’re all members of the same club, survivors of childhood. For some it was a great time, for others so so and for yet others not so much. 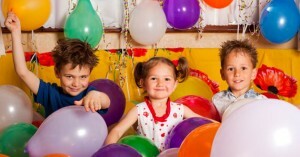 So think back on the bright spots of your childhood and chances are birthday celebrations were some of the more memorable times you experienced. It was all about you! You probably had a party with presents, cake and ice cream, games and fun galore. Birthdays represent milestones in our life where time stands still for just a while to herald our uniqueness in the world…and then, sigh, it’s back to reality. What if you could recapture the free spirit and wonder you felt then? You can by celebrating your unbirthday for the other 364 days left in the year. Obviously, there won’t be presents and everyone paying attention just to you and you’re not going to send out invitations to attend. But by capturing the mental image and feelings of that time, you can see your life with fresh eyes and full of possibilities. You can bring a spring to your step and cast away those self-limiting roadblocks we discussed in a previous blog, The Little Engine That Could. By reaching for your inner child to take you back to when life wasn’t so complex and convoluted, you open yourself to trust and dreams again. So what are you waiting for? Make a wish, blow out the candles and start to make the wish happen. We wish you a very merry unbirthday.